There is little argument that in the late 80s Hip Hop experienced a serious creative spurt of originality in both the music and the lyrical flow. The attention shifted from the DJ taking center stage (though DJs still played a very crucial role in developing an artist's signature sound) to the MC moving toward the forefront. Now, record companies were starting to take Hip Hop seriously and artists found themselves on signing lucrative deals (Mantronix is the first Hip Hop act in history to receive a seven figure music contract). 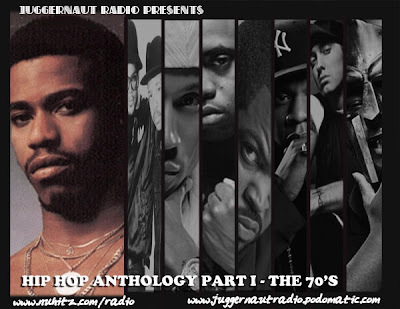 Juggernaut Radio presents Hip Hop in the late 80s with artists like Public Enemy, Slick Rick, Too $hort, De La Soul, NWA, MC Lyte and a whole lot more artists who contributed to shaping Hip Hop's most defining moment in its young history.